Material: 100% Polyester, Filling: 90% Down, 10% Feathers. 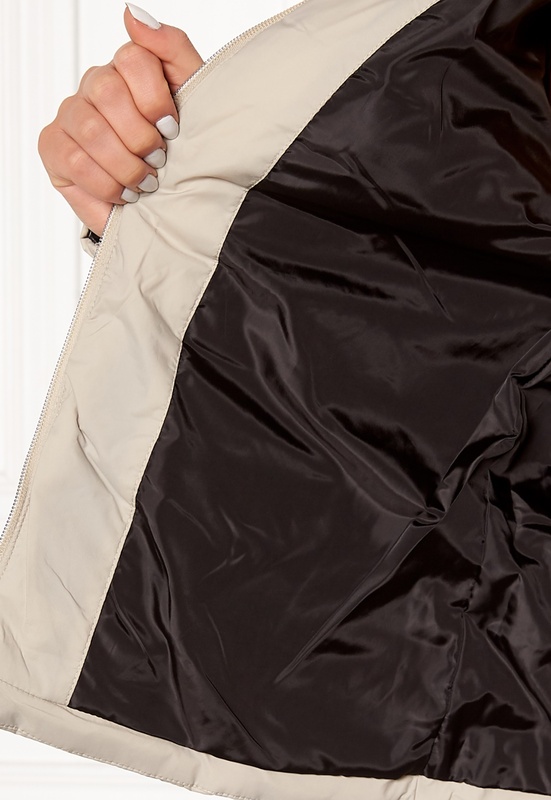 Trendy down jacket from ROCKANDBLUE. The jacket has fancy gold details and is perfect for milder weather. - Two front pockets - Lined - Gold color details at front and on sleeves - Inner pocket Back length from shoulder 63 cm in size 36. The model is 173 cm tall and wears a size 36. Machine wash at 30 degrees (delicates).